Or perhaps not. I think you can experience cosmology from your backyard, just by looking at the night sky or using an amateur astronomer's telescope. Here's are some tips on how to get there. Imagine an infinitely large and old universe filled with stars. Travel in any direction and, eventually, you will run into a star. In this universe, an imaginary Earth's night sky wouldn't be dark—it would be spectacularly bright. This is Olbers' paradox, which has several escape clauses. A finite universe is one. 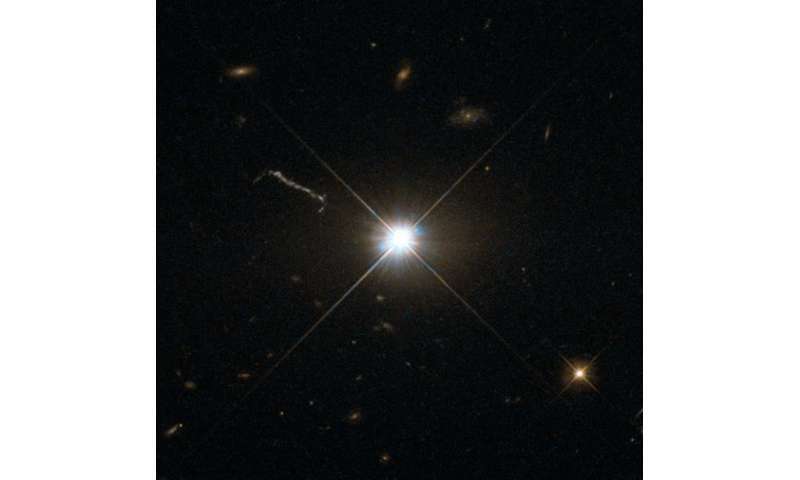 Another is a universe with a finite age, so that light from distant objects hasn't had time to reach us. Without even grabbing a telescope, we've done some backyard cosmology. The dark sky we see from Earth hints at the universe's finite age. Now grab your telescope. 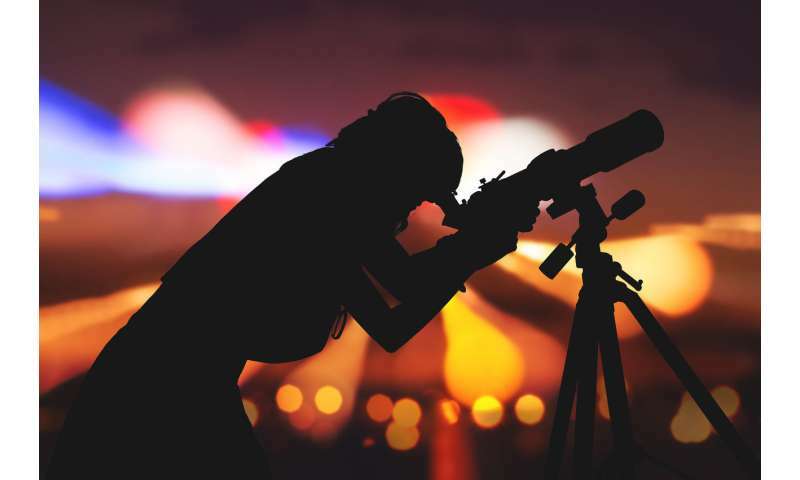 Beautiful images of stars can be taken with a telescope and camera on an equatorial mount, which can track stars as they seem to move across the sky. Telescopes on equatorial mounts can cost less than A$1,000 (although the sky's truly the limit with astronomical kit). An equatorial mount is different from your typical camera tripod, as it has one axis aligned with Earth's axis of rotation. The mount can track stars by rotating just one axis, and is literally a mechanical model of the spinning Earth. This is parallax, and it's a bit like using our two eyes to perceive distance, except using telescopic observations separated by the diameter of the Earth's orbit around the Sun (300 million km). This sounds tiny, but this is about the same as the angular size of Jupiter, and would be easy to see with a backyard telescope. Instead, even the nearest stars are so far away that it's a real challenge for backyard astronomers to measure their distances. Some of the closest stars are easy to find but still unimaginably distant. Alpha Centauri, the brightest of "The Pointers" near the Southern Cross, is a pair of stars whose distance from us is 270,000 times the Earth-Sun distance. 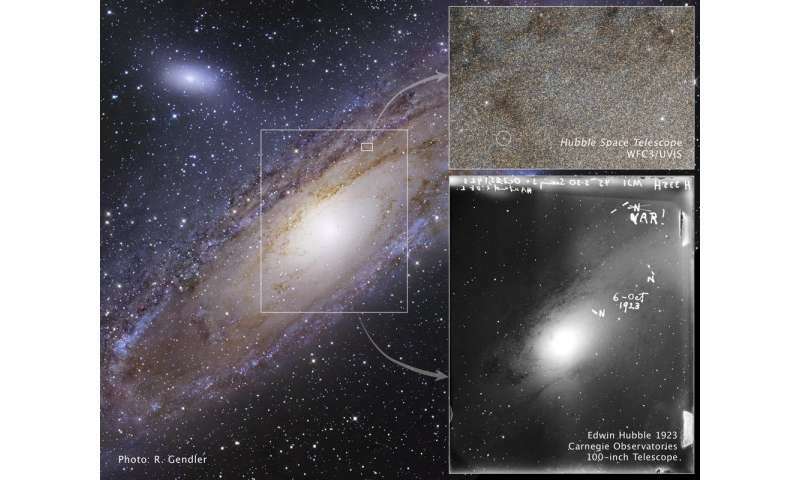 In 1923, Edwin Hubble detected a Cepheid in the Andromeda "nebula" and realised that Andromeda is another galaxy, containing many billions of stars. He concluded that the universe is vast and full of such galaxies. Cutting-edge cosmology may require the Hubble Space Telescope, LIGO and the Square Kilometre Array. But if you're organised, motivated, and have the budget for a few key items, you can be a backyard cosmologist.